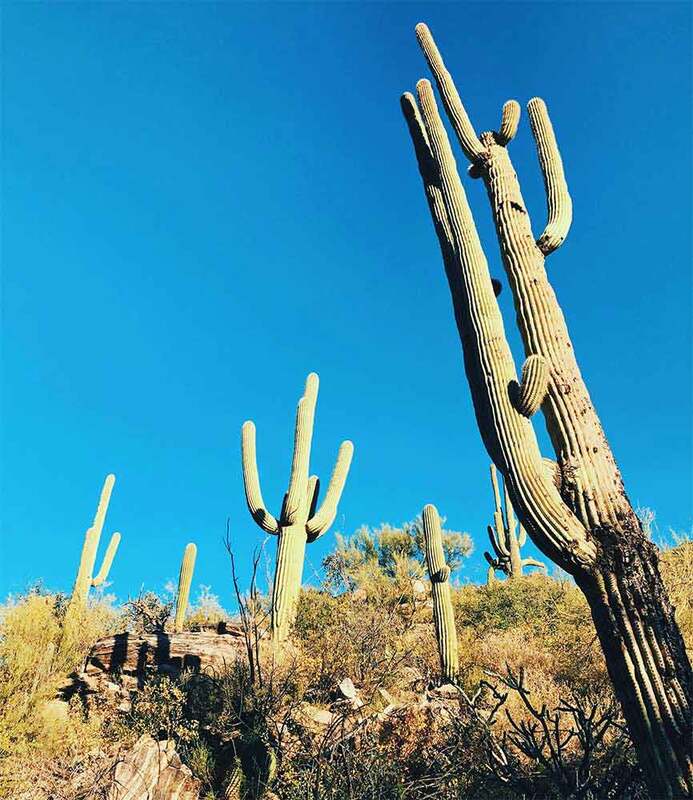 …is essentially an American rite-of-passage (and a great way to see the Southwest). 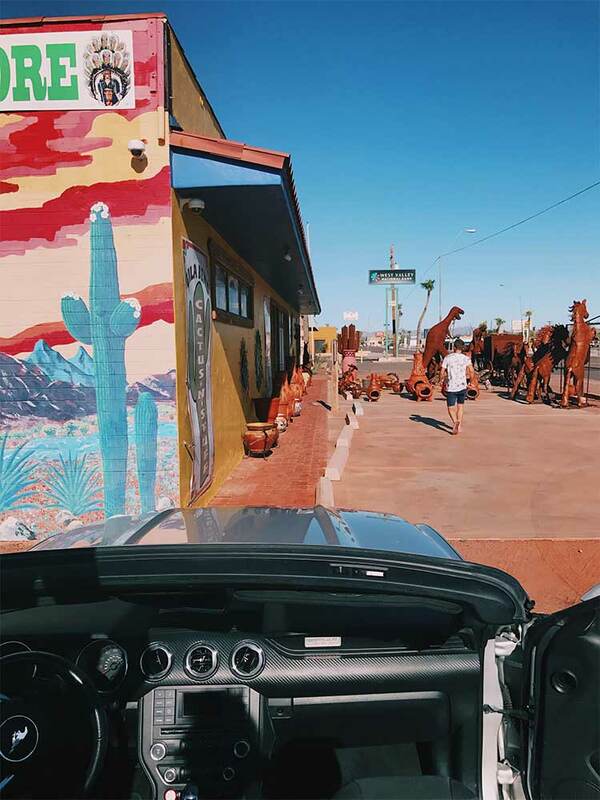 On my little journey out west after Chris’s work conference in Phoenix, his friend had the idea to get from Phoenix to California via a mustang convertible, drop-top the whole time. 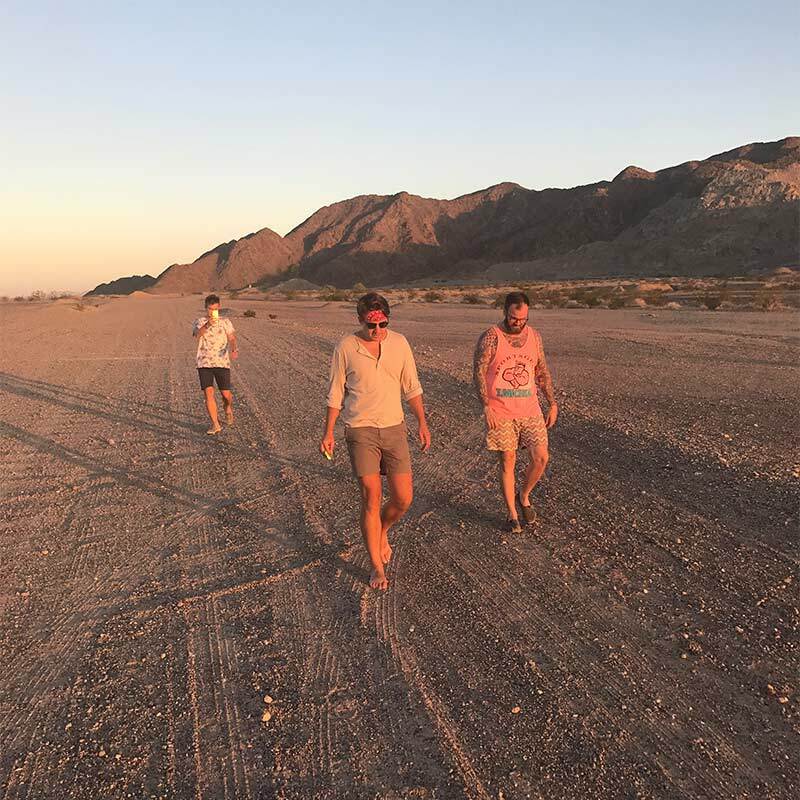 So Chris and his two buddies and I spent 7 hours blasting classic rock-n-roll, flying through the desert in a sizzlin’ 105+ degrees. The whole setting felt like we could have been in any decade since the 50’s, and this experience now ranks as one of my favorite things about being American. We saw some super remote areas and we rode really close to the Mexican border. We brought a TON of water because even though we were going fast which made it feel like a cool ~90 degrees during the day, we were totally dehydrated, frying in the heat (sunscreen is also a must). 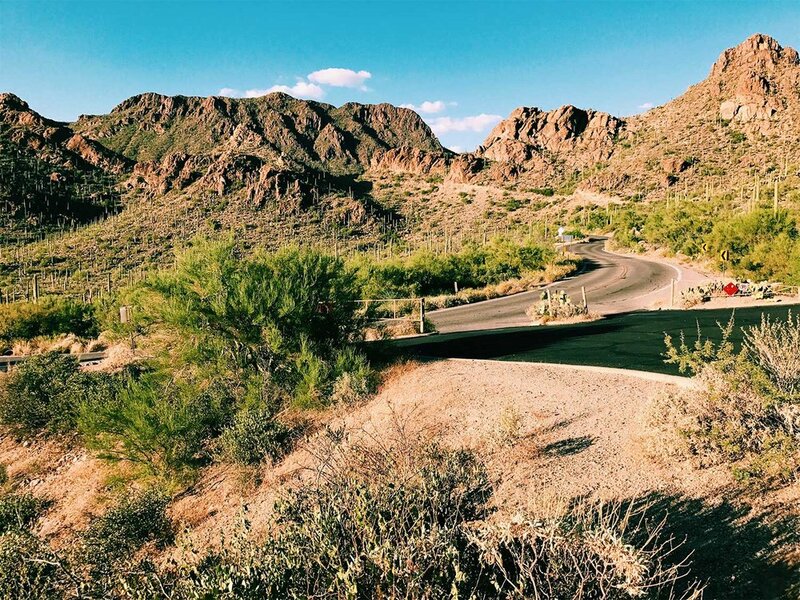 I wore a swimsuit for most of the time through Arizona because it was that hot. I left my hair down to go wild for the first hour, and it felt really cool. And then I was over that because my hairline hurt from being pulled in different directions and I felt like turning my face in different directions (I could only really look right to have my hair not fly in my face). My hair after we made our first stop was unbelievable. Our skin also felt weirdly smooth yet dirty because all the dust and dirt in the air was plastered on our skin, especially for Chris and I in the back seat (note: tall couple in the backseat of a mustang is a tight squeeze). At one point we were going through a particularly dusty desert area and we were getting hit with mini rocks and had to duck together. Glam. We made a few stops, one at a sweet desert art shop where one of the guys bought an excellent bald eagle wood carving, and then again at a gas station outside of Yuma where I bought sour cream ’n onion crickets that we all had to eat for desert roadtrip solidarity. 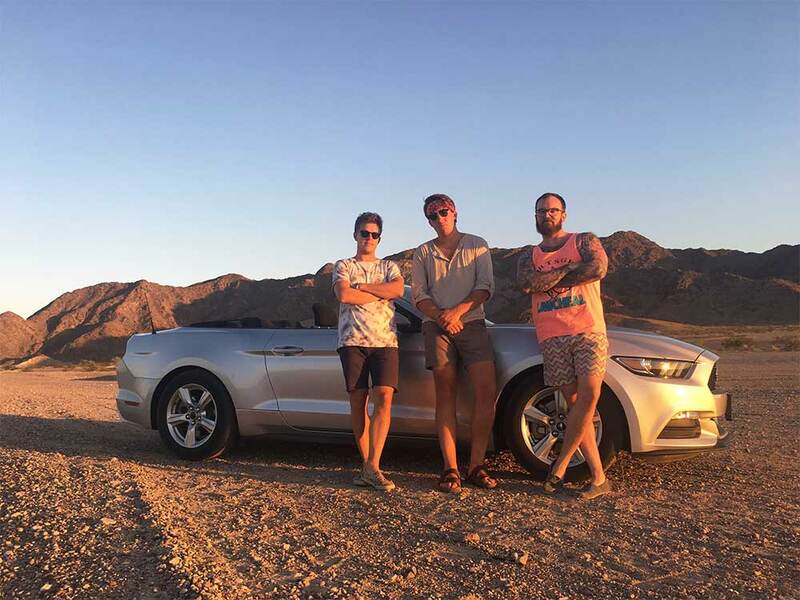 While one may think a Mustang road trip is best suited for two people given the tiny back seat, was a pretty hilarious time with a crew of four, so I wouldn’t let that stop you. The back seat is a little more extreme but with proper mental preparation and stretch breaks anything is possible. The whole trip was pretty much a high point in life, besides my one low point in life when we were on a dark desert highway, cool wind in my hair, the warm smell of colitas rising up through the air. We were in the mountains in California, about 90 miles from our final destination in Encinitas California. IT. WAS. SO. COLD. We watched the temperature with shock as it rapidly dropped every five seconds as we zoomed into the mountains. Within ten minutes, it went from an almost-chilly-when-you’re-in-a-drop-top-going-100-mph (~72 degrees) to I’m-actually-going-to-get-hypothermia-and-need-a-massage-from-shivering-so-much (~50 degrees). I think the lowest temperature was officially 52, but that backseat windchill had to be 33. In a dress. So my big lesson learned is that even though it’s super hot in the desert during the day, in the mountains at night it is not warm and next time I will have sleeves and pants very accessible. Anyways, we victoriously rolled into Encintas California around 9:30pm after a long and amazing journey. I couldn’t be more stoked to be in one of my favorite places in the world, and finally by the ocean again after being away for too long. We all enjoyed some incredible Mexican food, a California beer, and a killer night’s sleep. 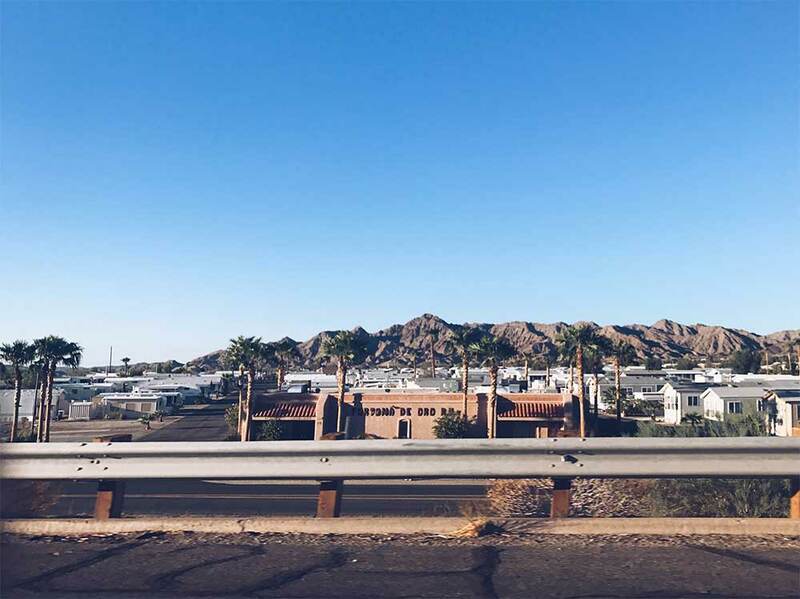 Life Update + First Visit To the Sizzlin' Southwest ? First, I feel like I owe the world an update on my whereabouts. This should efficiently clear the air regarding questions such as “do you work” and/or “how do you travel so much? !” and/or “what is ur life”. And then that’ll bring us up to speed with the cool pictures I have to share from Arizona. I zoomed through some crazy months since moving back from Sydney, diving into a full-on Chicago summer full of weddings, lake festivities, and much needed catch-ups with family and close friends. I haven’t even caught up with half the people I’ve meant to by now. ? Between all the summer fun I’ve been freelancing on a few contracts, doing digital marketing (CRO, SEO, social and email marketing for those concerned) and web design. The whole time I was trying to figure out my next “move.” And then I realized my next move might already happening ? 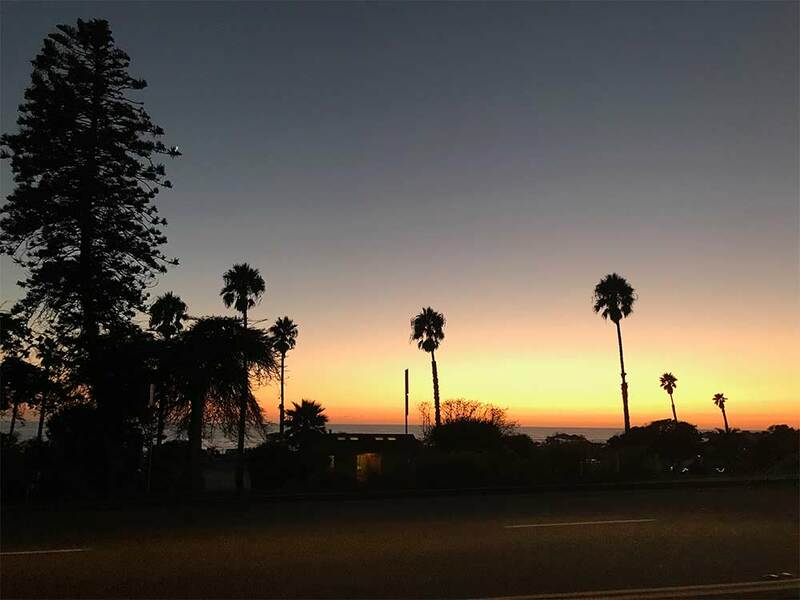 A few weeks into freelancing after returning home from Sydney, I became determined to find a full-time, permanent, remote marketing job. On top of those requirements, I was being SUPER picky to find the right fit. So applying to “the grind” became the ultimate grind. They should certify me as a professional job applicant. The marketing industry is so saturated, and I jumped through tons of hoops with multiple companies to advance through rounds. I got denied from a few, and made it really far with a couple only to be beat out by applicants with 8+ more years experience. I even dropped out of the running for quite a few opportunities because the gigs didn’t seem right for one reason or another. I got REALLY close with an awesome company that seemingly met all my work-related desires, and they even wanted to hire me but their needs changed. I almost tasted the ultimate victory and I didn’t want to settle for less. Then, a couple weeks ago, I was evaluating a full-time opportunity, and a bell kind of hit me on the head. I’d been freelancing about 25- 30 hours/week and I was already making more than I did when I left Chicago, plus I did it when and from wherever I wanted. If I actually worked the 40-50 hours to week, I’d be making more than I did in Sydney!!! But it’s not all glam and of course there are doubts. This could be something I look back on as hilariously silly or amazingly smart. I’m figuring out a lot as I go. It’s of course a little riskier than a full-time permanent role, but lots of exciting opportunities. I freelance for a range of clients, from high end businesses and agencies, to really (REALLY) random small businesses (I have some stories…). My clients are all over the world. I am dealing with a way wider range of humans and types of workers than I ever did at an agency in Chicago or Sydney, and I’ve had to adapt to align with different client expectations. Already, eyes have been opened and lessons have been learned. Oh also, Chris has the Southwest Companion Pass because he travels so much for work, so that’s how I get to fly a lot of places in the USA for free ? 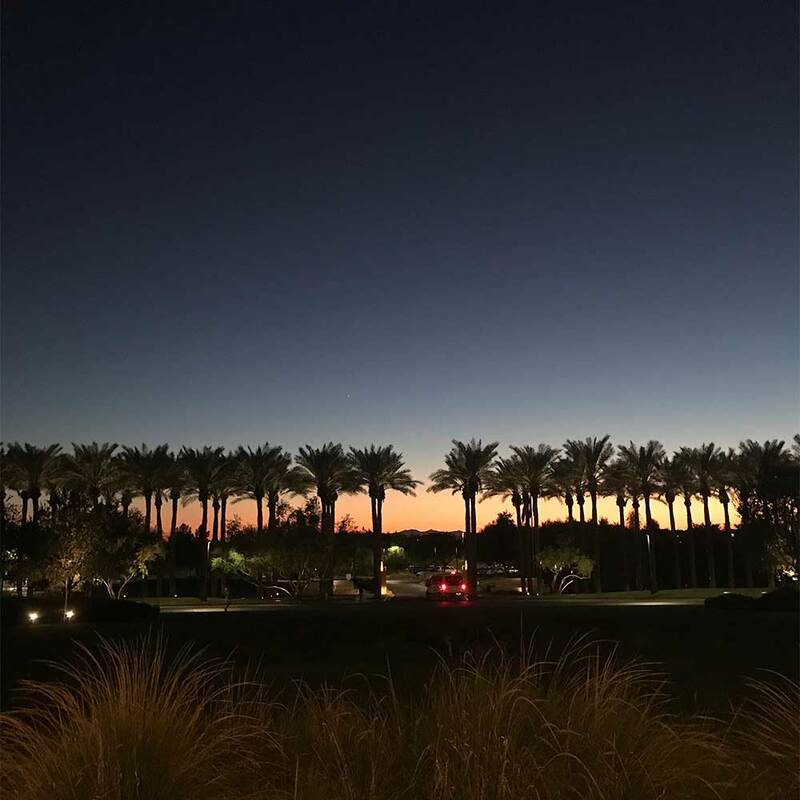 Chris just had a conference at the BEAUTIFUL JW Marriott Desert Ridge in Phoenix, so I tagged along and enjoyed the luxe resort life, and also finally got to visit my awesome cousin holly in Tucson. Obsessed. 2. 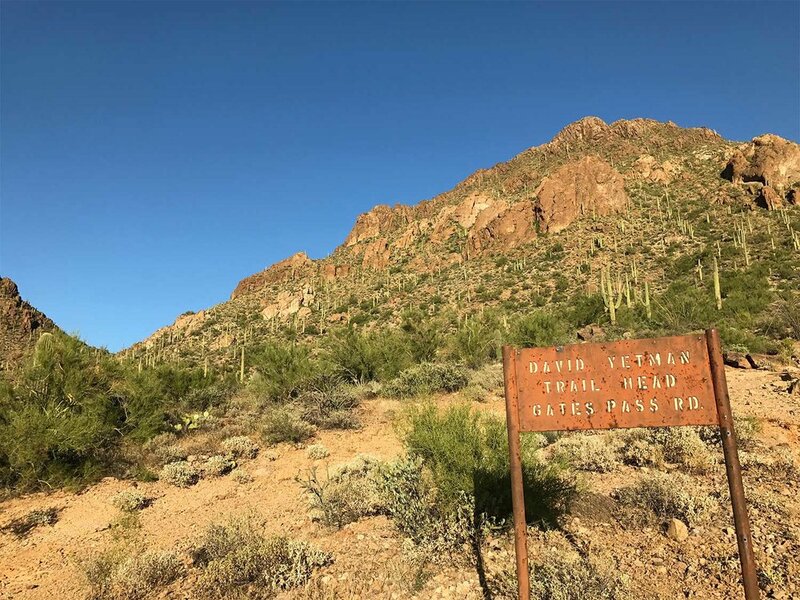 They are surrounded by four mountain ranges so there’s tons of camping/ hiking opportunities, and an incredible ecosystem.